Your rented property will be in perfectly clean condition if you use our services in the end of your lease contract. Our company offers highly effective and affordable end of tenancy cleaning services which will ensure your deposits in full. If you are a letting agent or a landlord, our services will make your property presentable and preferred by more customers. The work will be implemented with the help of advanced machines and biodegradable products for sanitising which are effective and safe for the health. 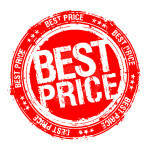 Book the end of tenancy cleaning which we provide in London and in the neighbouring areas. You can completely count on our team of cleaners to sanitise your rooms. They will vacuum and mop the floors, wipe the dirt and dust from all pieces of furniture, scrub and polish all appliances. The kitchen will be rid of grease, food wastes and stains, the carpets in the living room and bedrooms will be hoovered. Our employees will wash and cleanse the bathroom and toilet. The cleaning which we provide also includes sanitising all skirting boards, doors, handles and frames. Use our end of tenancy cleaning services which we provide to the residents of London and those living nearby. You will be pleased with the condition of the property. Our services are suitable to be used in houses, flats and offices which are offered for rent or will be vacated. 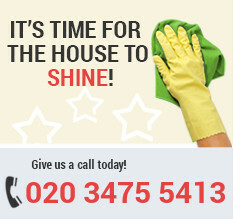 Reserve the end of tenancy cleaning which you need that we provide in London and you will be impressed by the results.